The Livermore Valley Education Foundation (LVEF) has added David Darlington to its Board of Directors. Darlington has been extremely active in community and civic affairs since moving to Livermore in 1984. He served eight years on the City of Livermore’s Environment and Energy Committee, one year on the General Plan Update Committee, and two terms on the City Council’s Growth Review Board. For 17 years he provided environmental education services to Livermore public and private schools. 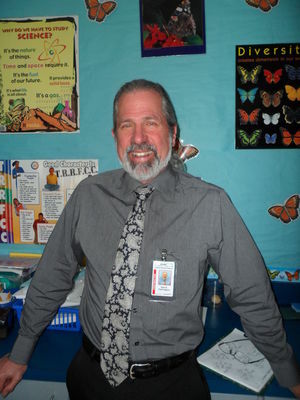 He presently serves as the Livermore School District’s Conservation Consultant. He has volunteered with the Boy Scouts for 15 years, including serving as Eagle Scout Advisor. His two sons attended Rancho Las Positas Elementary School. Other LVEF Board members are Founder Bill Dunlop, Sally Dunlop, Treasurer Sally Esser, Dave Haberman, Karen Hutchinson, President David Jonas, Jamie Mason, Joe Romagna, Past President Vicki Schellenberger, Secretary Charity Shehtanian, and Jon Williams. Thank you Rotary for partnering with LVEF on this fantastic program!